National Farm Machinery Show in Louisville, Kentucky - February 12-15, 2014 | MTZ Equipment Ltd. The MTZ booth at the recent National Farm Machinery Show, in Louisville, KY was extremely busy. 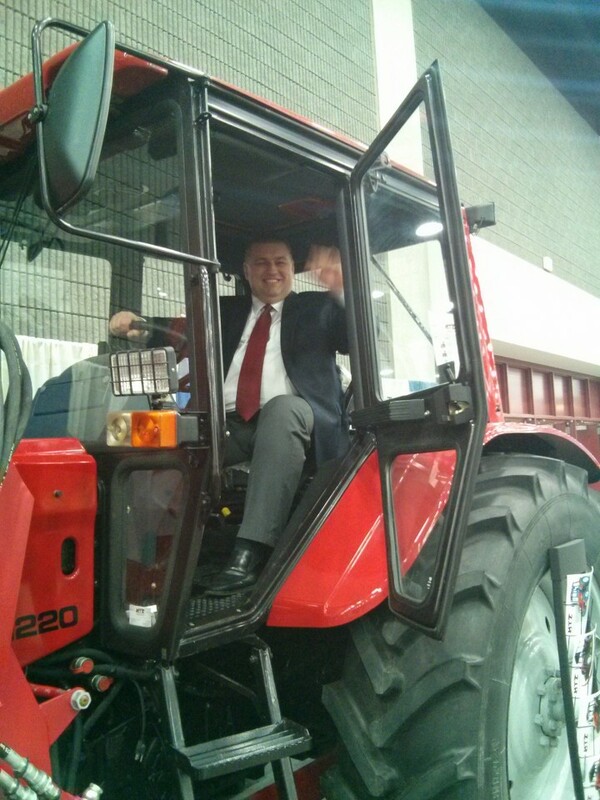 Several hundred dealers and visitors had a chance to see the updated machinery made in Belarus by Minsk Tractor Works. The exhibit was visited by Belarus ambassador in USA, Hon. Oleg I. Kravchenko. 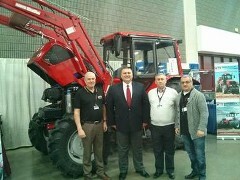 Belarus based Minsk Tractor Works (MTZ) http://belarus-tractor.com/en/main.aspx remains world’s largest tractors exporter. With over 30,000 employees and more than 1.1 billion $ US in annual sales, the plant is producing over 60,000 tractors annually. Tractors are exported to more than 100 countries worldwide. MTZ Equipment Ltd. is the USA/Canada distributor of Minsk Tractor Works. 2014 line-up includes models in 77-200 hp range. 300 and 350 hp models will be added later. World’s largest volume production allows for class leading pricing. As example, a 122 hp 4WD cab model starts at $55,500 (!) retail. 2 years / 2,000 hours warranty. We are actively seeking to re-establish sales in your area and will be looking forward to hear from you.